At Balanced Health Medical, serving 10022, 10017, 10020, 10036 and 10019, our NYC chiropractic doctor helps patients recover from injuries. At our clinic near Rockefeller Center, we assist patients who have wrist, hand, neck or back pain as well as various other types of musculoskeletal pain. Our Upper East Side doctor utilizes treatments such as spinal decompression to assist with your pain and discomfort. Spinal decompression is a treatment that consists of an NYC chiropractor placing you on a table with a traction device. The device has a series of pulleys and other components that work together to gently pull your spine. The treatment moves the vertebrae in the spine, so they separate from the discs and, in return, relieve pressure on them. Spinal decompress alleviates pressure on the discs in between the vertebrae, so injured discs are able to heal. It optimizes blood flow throughout the area; therefore, the region receives additional nutrients necessary for the healing process. The increase in essential vitamins and minerals enhances healing time. Our chiropractic office near Rockefeller Center gives residents on the New York City's Upper East Side an option to treat conditions like degenerative disc disease. This particular condition describes changes that occur in the spinal discs as a result of age. It's a cause of pain and discomfort that can be reduced by taking pressure off of these discs. 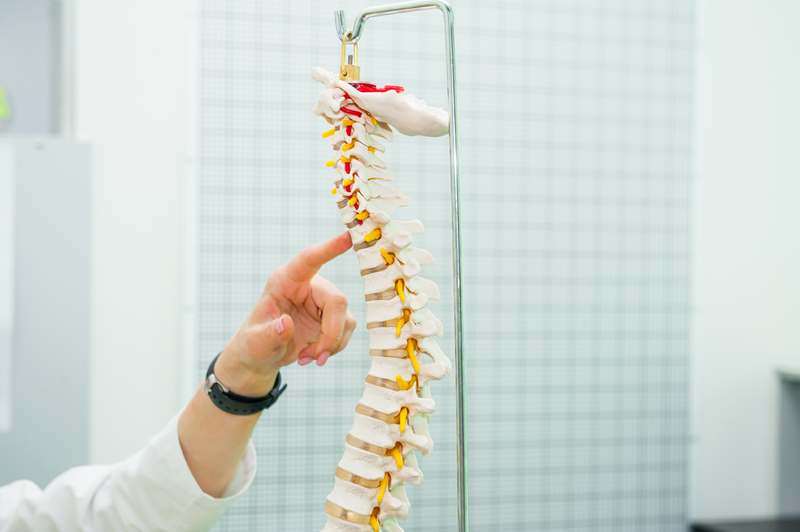 Patients who suffer from a herniated or ruptured disc can benefit from spinal decompression. A herniated disc happens when a tear occurs in the outer shell of the disc. The contents of the disc will begin to push out through the tear, which can lead to pain as well as numbness that can extend from the back to the arms and legs. Sciatica patients may benefit from spinal decompression. Because of pressure on the sciatic nerve, patients who have sciatica may experience pain, numbness, tingling and weakness that may extend from the lower back to the toes. In many cases, sciatica occurs as a result of a disc placing pressure on the sciatic nerve. Spinal decompression from a Midtown chiropractor reduces the pressure off of the sciatic nerve. A bulging disc tends to occur as a result of the outer portion of a disc weakening. The inner portion of the disc pushes on this compromised wall, resulting in the disc bulging. The bulge may place pressure on the surrounding nerves and soft tissue, but spinal decompression reduces the amount of pressure the disc puts on the nerves. To schedule an appointment for spinal decompression from our chiropractor at Balanced Health Medical, serving 10019, 10017, 10036, 10020 and 10022, contact us at (212)-755-1717 today. We offer various other treatments that help with hand, back, wrist and neck pain.